Some time during the last ten or fifteen years, Northern Rhone Syrah went nuts. Yes, Chave rouge has been a big-ticket bottle for many years. But it wasn’t that long ago that Clape Cornas and Jamet Cote-Rotie were $35 a bottle. Maybe not an everyday price, but accessible. Today, Cote-Rotie starts around $75, with Jamet coming in at twice that price. In the 2010 vintage, Clape Cornas crossed $100 a bottle. Curiously, while Rhone Syrah was becoming a hot item, American Syrah seemed to be tanking. Scores of stories lamented what to do about American Syrah: no one seemed to want it, and everyone had planted too much of it. So you’d think that in late 2001, a small wine producer in an unheralded California wine region would make the financially wise decision of ripping out their Syrah and planting something that could sell. Instead, Stolpman Vineyards in Santa Barbara County bet on Syrah. And at that moment, everything this small winery did seemed to be coming straight out of a how-to-lose-money guide. Nearly 15 years later, a bet is paying off in the form of some of the country’s best Syrah. And what perfect timing: the fans of Northern Rhone Syrah are finally poised to rebel against the stratospheric prices by rewarding the best American producers. It starts at Stolpman, and is largely thanks to a dynamic winemaker named Sashi Moorman. Moorman was not yet 30 when he was hired to make the wine for Stolpman Vineyards in the Ballard Canyon area of Santa Barbara County. As a chef and a lover of classical music, his tastes veer toward the thought-provoking and away from the hedonistic. He does not view wine any differently. These days, Moorman is a white-hot figure on the west coast wine scene, and while he doesn’t court controversy, he’s not afraid to say how he feels. Working alongside Rajat Parr on the Sandhi and Domaine de la Cote labels, Moorman makes Chardonnay and Pinot Noir that is decidedly not-so-syrupy. He’s been saying for years that in the right places, California can make elegant wines, and he pressed the point shortly after starting at Stolpman. “The bigger the wine, the more you risk losing that sense of where it comes from,” Moorman tells me. The week before our meeting, I had tasted a few wines that proved the wisdom in Moorman’s concerns. Santa Barbara County is making wines from various appellations that, by now, ought to have more of the world’s attention. Customers can find excellent value, but there are hazards to avoid. This is a region that can make very ripe, rich wines, and given the proclivity of some critics in rewarding thick and heavy reds, it’s hard to blame winemakers for pushing their wines to the limit. Tasting through a handful of vintages of Tensley Colson Canyon Syrah — a wine hailed by both critics and the Cellartracker masses — I found myself unable to finish half a glass. The motor oil-like character of the wine was shocking. It was an example of just how ripe Santa Barbara wines can be. The region will never have to apologize for its growing season. As for its terroir, it was time to see it up close. Stolpman’s property is visually stunning. Situated in Ballard Canyon, more than 150 acres of vineyards rise and dive in all directions; there doesn’t appear to be a flat spot in sight. As opposed to neighboring Jonata, which is almost pure sand, Stolpman sits on limestone that ranges from subtle to ostentatious, with jagged chunks of stone cracking through the soil and clay. From the west, the ocean breezes bring a cooling influence. From the east, warmer air aids the ripening. Standing in the vineyard is a strangely spiritual experience. The place is so damn quiet that it forces you to think, unless you retreat to the comfort of your iPhone. I didn’t. I found myself thinking about how large this strange world is, and how fortunate we are to worry about which wines to drink, which grapes to plant at which sites. It’s a lonely, beautiful, and brooding exercise. 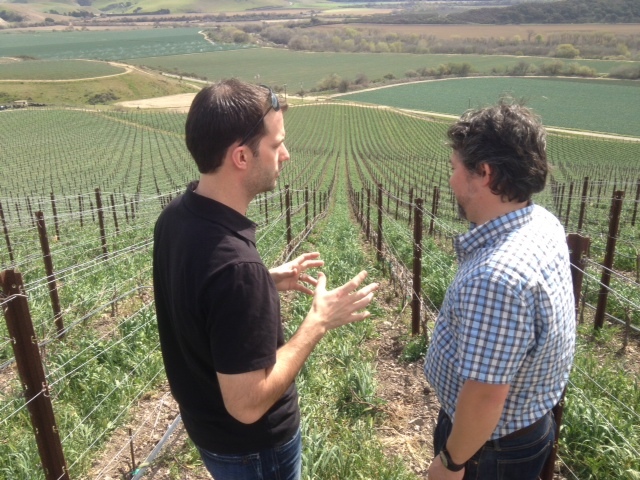 Stolpman’s advantage begins with vineyard manager Ruben Solorzano. Few growers in the region garner such respect. Solorzano is legendary for his habit of attempting to interact with the vines, the way a gregarious doctor would do with a patient. Talking, and listening. And unlike many other growers, Solorzano is very hesitant to irrigate. That means smaller berries, more concentrated, more intense as the vines have to work harder to find water. Peter was a teenager at the time, and he attended many meetings that included his father, Sashi, and Ruben. If anyone thought it would be better to plant Cabernet, they weren’t saying it. There was no panic about the Syrah market. “It just never came up,” Peter explains. Either high-quality Syrah was going to find its own market eventually, or Stolpman was going to go out of business. There is a common misunderstanding among casual wine drinkers that says something like, “Wine is glamorous. The wine industry is opulent.” That’s only true for a select few. Most wine producers are like Stolpman: struggling with difficult decisions, trying to avoid deeper debt. Moorman is referring to several producers that make compelling wines in much the same style: complex, intensely aromatic, with the stamp of Syrah’s natural character while also displaying their own unique sense of place. Northern Rhone lovers could debate which American Syrah is the current standard bearer, and while I’m taking Stolpman, arguments could be made for Wind Gap and several others. Do you prefer Cornas or do you prefer Hermitage? That’s the kind of debate that the American wine scene has been waiting for. It is finally arriving thanks to a confluence of factors. For too many years, west coast Syrah often tasted like west coast Cabernet, or any big red west coast blend. Too much extraction, too much wood, too expensive. No wonder the variety was on life support. But now comes a resurgence, part old guard and part avant-garde. There are tremendous bottles to be found in Santa Barbara County, Sonoma Coast, and elsewhere. And it’s a relative bargain: Stolpman’s Estate Syrah 2011 is $30, and they made 6,000 cases. That’s a relatively small production, but it’s enough to show up in a wide range of markets. Yes, Stolpman makes a handful of small production Syrah bottlings to highlight their best fruit, but the estate Syrah does not suffer markedly in quality compared to the smaller-production wines, which range from $38 to $68 — still less than just about anything from Cote-Rotie, Hermitage or Cornas. Peter now describes the Stolpman finances as “stable,” which is a testament to every small decision in favor of quality going back 20 years. And it continues: after the 2010 vintage, Stolpman “threw our accountant a curveball,” Peter says. “We tossed out 2,500 cases of 2010 red wine because it didn’t make the cut to put our brand on it. To me, decisions like that are fairly easy.” I ask him why. Peter Stolpman is constantly marveling at his winemaker’s exacting standards, and that goes beyond the winery. If the world ever figures out what’s happening in Ballard Canyon and Santa Barbara County, American consumers could see a replay of what’s happened with Northern Rhone wines. For now, there is a rare opportunity. I haven’t even mentioned Sashi’s private label, Piedrasassi. Or Qupe, or, well, now we’ve started another conversation. Saint-Joseph or Cornas? Sonoma Coast or Ballard Canyon? It’s about time we could feel so stimulated when talking about American Syrah. Good article Evan. 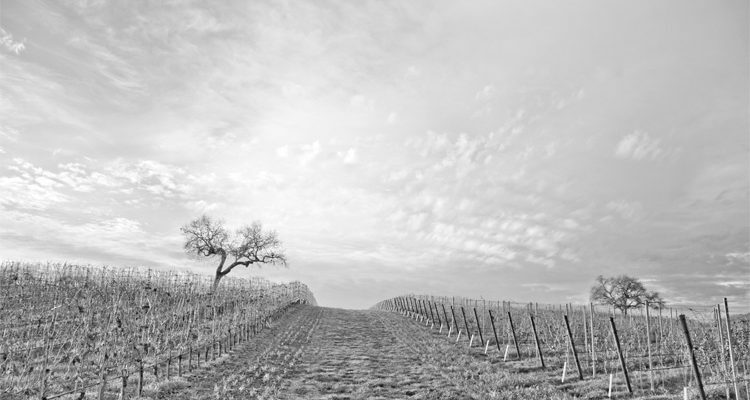 I have been on the Syrah journey for several years–drinking through the good-bad-ugly. After trying the 2005 Stolpman, I’ve been a fan. For any of your readers looking for another area for Syrah, I highly recommend Cortona, Italy. Syrah has been grown there for decades; I’ve been drinking it from the 2002 vintage on. Until the Northern Rhone prices tumble, I’m happy with Stolpman and Cortona. Evan–Several years ago, I was surprised when my favorite enoteca in Florence introduced me to Italian Syrah. Most of the Italian vineyards were planted in ’60’s-’70’s (before the New World “flavor-bombs”) with the wine being more in the N. Rhone style. The Cortona producer I settled on is Luigi d’Alessandro Manzano. He has at least 3 levels of Syrah–from IL Borgo ($18ish) to IL Bosco ($50ish) to Migliana ($85). I haven’t tried Migliana (would go to N. Rhone instead), but the IL Borgo is an excellent quality/price value; but I’ll admit, the IL Bosco was the one that hooked me. For future heads-up, several Montalcino producers have begun to plant Syrah, so…. I am a Stolpman Wine Club member, sold on each variation of the Syrahs. The Stolpman family may not want to hear this, but even though the higher priced bottlings are truly memorable, the Estate Syrah is so good and such a bargain that it is always a compelling choice. Also, I hope you had a chance to taste the Sangiovese. Just outstanding, and it competes with the Syrah as my favorite wine from this terrific vineyard.